We spoke to Naked Grouse’s Global Brand Ambassador, Henry Philip, to hear how this year’s swap has benefited the bartender community. What is the LiBARating SWAP all about? The LiBARating SWAP involves bartenders from different cities around the world switching locations for a four-day journey of whisky serve inspiration. This year we asked six of the best bars in the world to join us and during each swap, bartenders were immersed in different cultures, experimented with new flavours and hosted seminars on the exciting future of Scotch whisky serves. Each exchange was also designed to help bartenders experience the city as a local would whilst learning new skills, such as specialised ice cutting masterclasses and foraging weird and wonderful new ingredients for their drinks. To inspire each seminar, host bartenders showed their visiting guests their favourite sights in unique ways, including yoga over London’s skyline, tuk-tuk tours in colourful Lisbon and segwaying around Tel Aviv. Being a global whisky brand, we have an opportunity to connect bartenders all over the world through a mutual passion. The LiBARating SWAP asks bartenders to step outside of their comfort zones, push the boundaries of Scotch whisky, and become truly liberated in doing so. 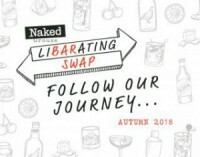 What makes the LiBARating SWAP different to other bartender initiatives? After a successful launch year in 2017, we recognised the potential of the bar swap to be more than a one-off experience or a competition – it’s a chance for bartenders from all over the world to connect with each other and share ideas. The programme is designed to help build a global network of bartenders who have a shared passion for Scotch whisky by offering them the opportunity to be inspired by a different city and share ideas with a new bartender community. Which new ingredients and serves have stood out to you during the swaps? During the Edinburgh workshop hosted by Bramble, Ellen Su and Yi-Che Liao from Taipei’s Indulge Experimental Bistro and T.C.R.C introduced the local bartending community to unique Asian-inspired ingredients, including fermented winter melon and pineapple, truffle oil and ginger lily syrup. 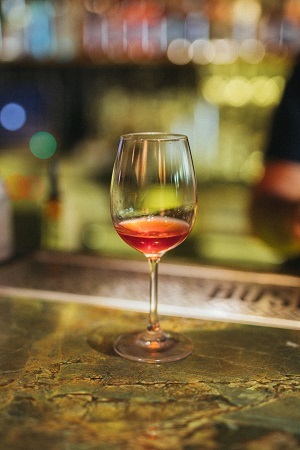 In London, Marie Kasmi from Dandelyan made us a low ABV ‘whisky wine’ serve (Naked Grouse infused with berries and Cherry bark, Jasmine tea and Cocchi Rosa) which tasted amazing! The idea was to create a fruity drink using whisky that could be enjoyed with friends around the dinner table, and Marie wanted to show that you can create subtle whisky drinks without losing its flavour in a mixed serve. Tell us more about the LiBARating SWAP seminars? The seminars provide a platform for bartenders to share new ideas from their home and host cities. We hosted six seminars around the world, inviting the best bartenders from each market to come along and participate in the discussion. In Taipei, over 80 bars attended the seminar and the event was streamed across local news channels and blog pages. It was so fascinating to see such a thirst for knowledge for Scotch whisky drinks, especially considering we were on the other side of the world! Naked Grouse was created to offer a whisky at its most uncomplicated. The blended malt is matured in first fill Oloroso sherry oak casks, and it is from these "naked" casks that have never held whisky before that Naked Grouse takes its name and distinctive flavour. The ageing process, along with a blend of fine single malts, results in a rich and fruity whisky with a soft spice finish. Vinexpo: Meet the world of wine and spirits in Bordeaux from 13 to 16 May 2019!